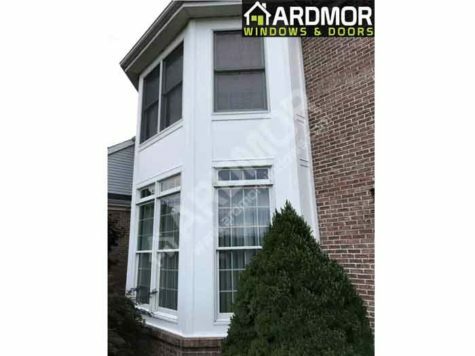 ARDMOR Windows & Doors, Inc. specializes in restoration and repair of wooden window frames and other window accessories such as window sills, brick moldings, exterior boards, etc. that have been damaged due to weather conditions or in any other way. 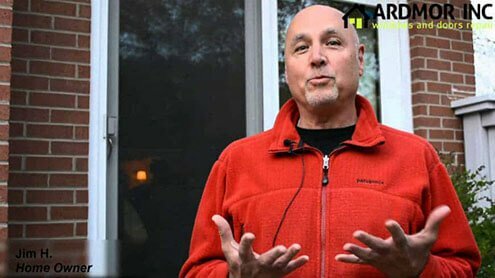 Aging of wood and changes of seasons over time can reduce the functionality of the windows. 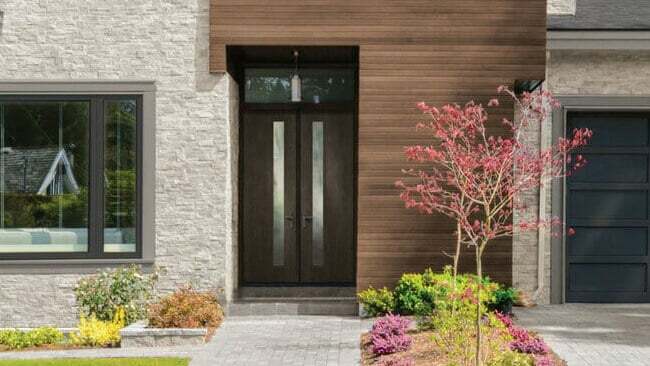 Nevertheless, that does not necessarily mean expensive new replacement window projects. 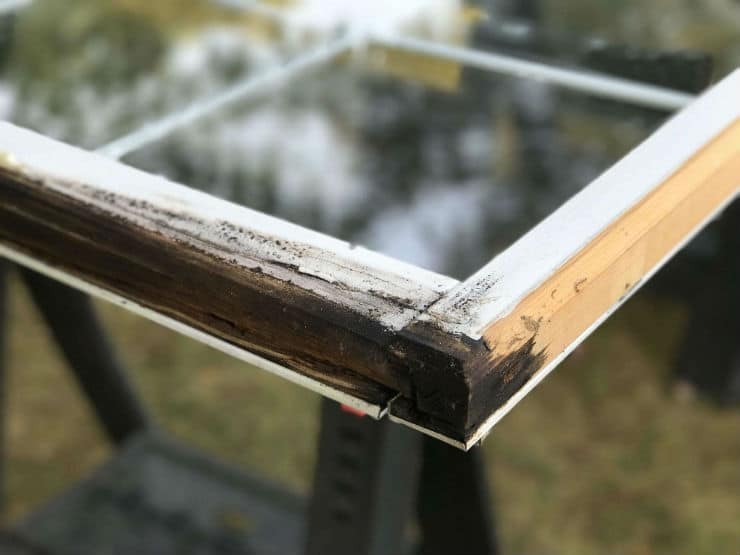 In most cases, wood repair and restoration is a viable solution to return windows to their original state and restore the original design. 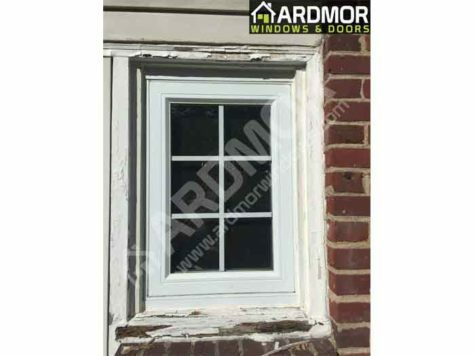 Regardless if the wood has cracked, rotted, or was damaged in other ways ARDMOR will make its best effort to repair the window. 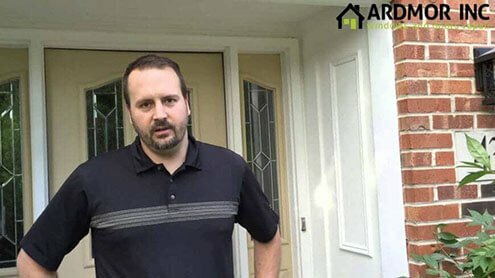 Whether it is a new house that has suffered some unexpected wood damage or the old historic residence ARDMOR has set our goals to preserve as much of the original wood as possible to keep the unique view of each house. 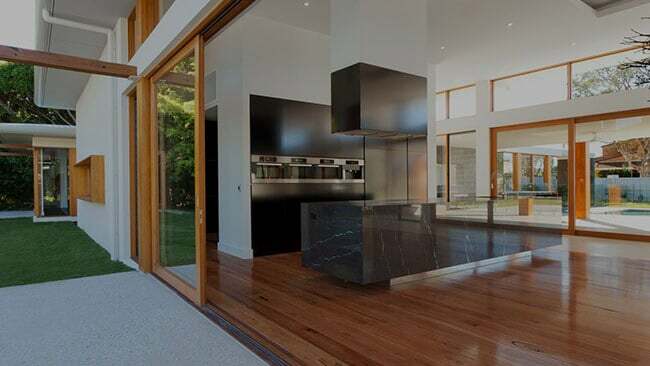 Move the slider on the picture either to the left or right to see the amazing before and after transformations homeowners have achieved with our glass replacement services. 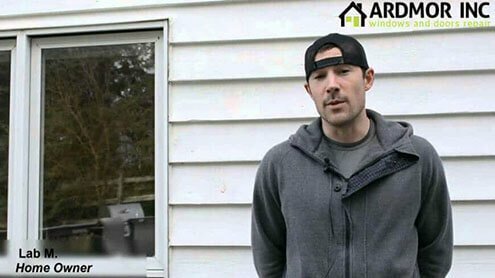 Move slider on the pictures below and see the amazing before and after transformations we have helped homeowners achieve on Wooden Windows. 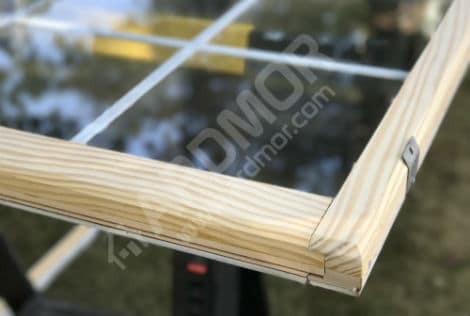 Window Sash- is made of one or more movable panels, or "sashes", that hold panes of glass in place, also can be separated from other panes (or "lights") by glazing bars. Cause- Wood ( rails and stiles) begin to rot when exposed to moisture when wood is not properly maintained by painting on a regular basis. 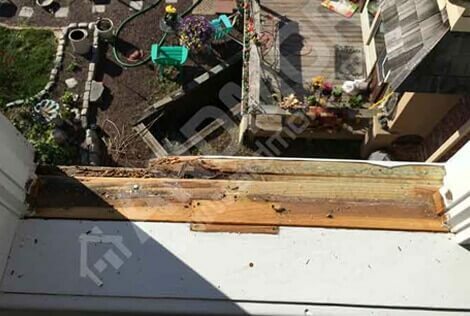 Also, wood can begin to rot if water gets behind the exterior cladding. 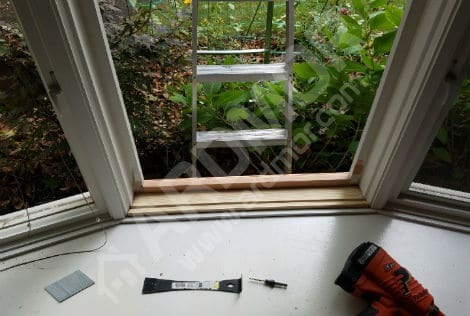 Solution- We will custom make any part of the window sash ( rails and stiles) that have become rotted with quality solid wood and replace them on site. 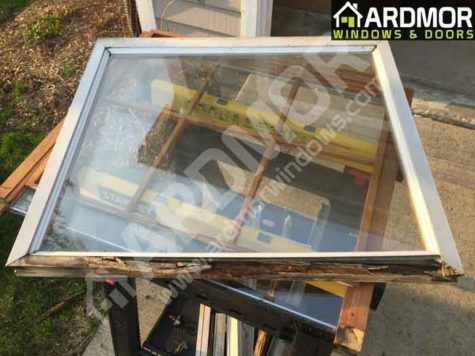 The replaced parts, when job is completed will look just like the original windows. 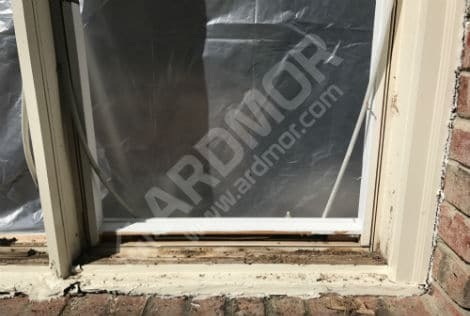 Window Sill- is the surface at the bottom of a window located under window sash. 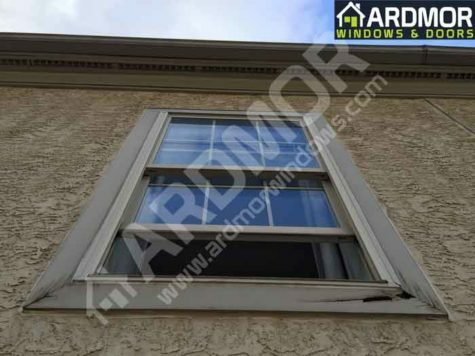 The window sill is the part of the window that takes all the water after it rains. 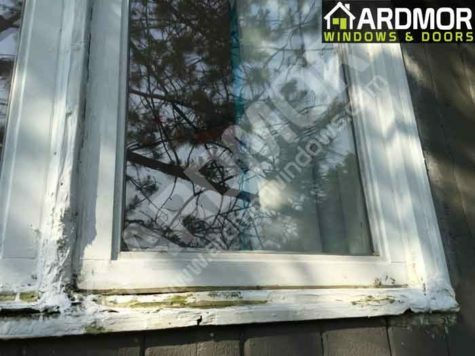 Many times the window sill is the first part of the window that starts to rot. 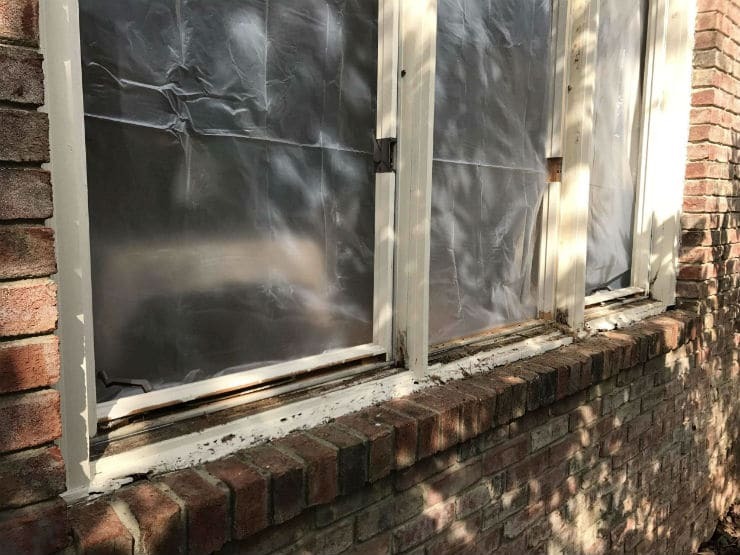 Cause- Wood ( sill/subsill ) is the part of the window that takes the most water after it rains, causing the wood to rot due to standing water. 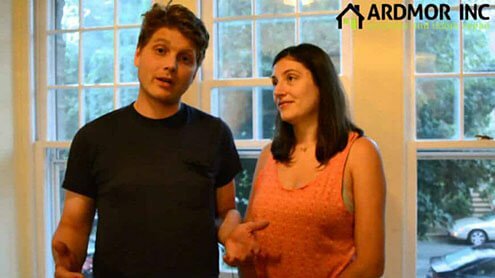 Also, wood can begin to rot if water gets behind the exterior cladding. 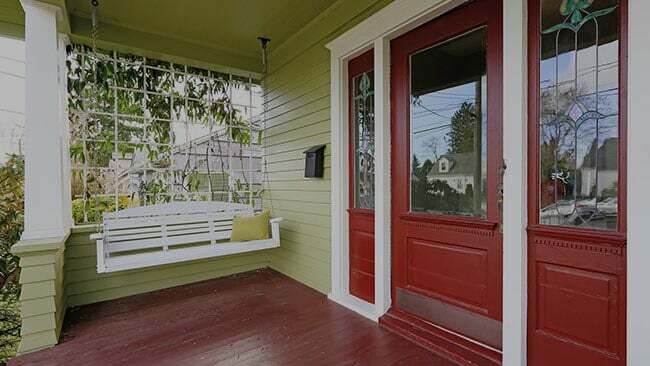 Solution- We will custom make the sill and subsill with quality solid wood and replace them on site. 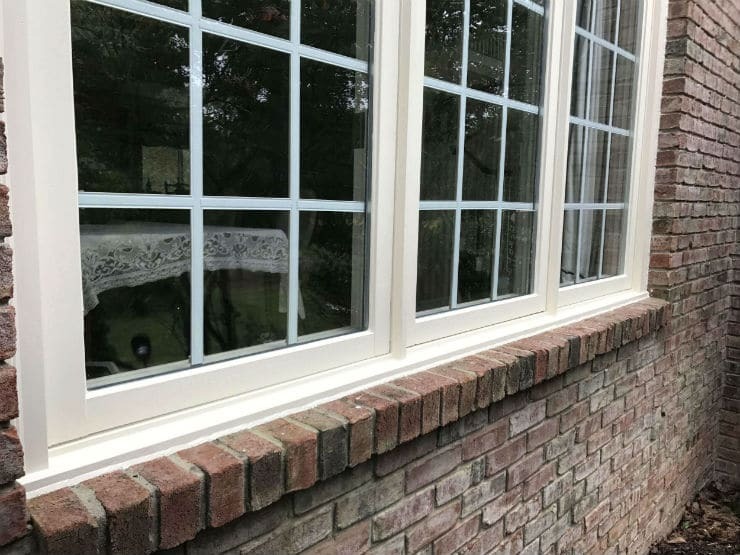 The replaced sill/subsill, when job is completed will look just like the original window. 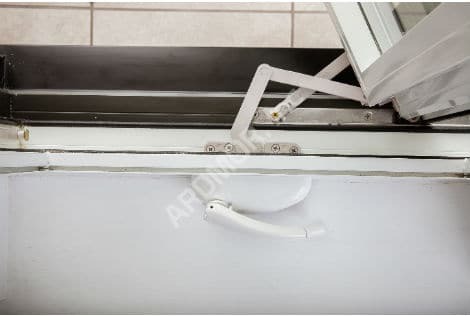 Window Crank Operators and Jamb Liners sustain the most damage due to continuous usage. 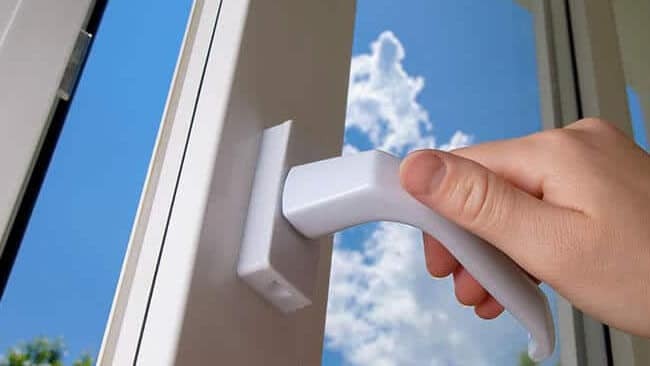 Browse the affordable options we offer in window hardware replacement. 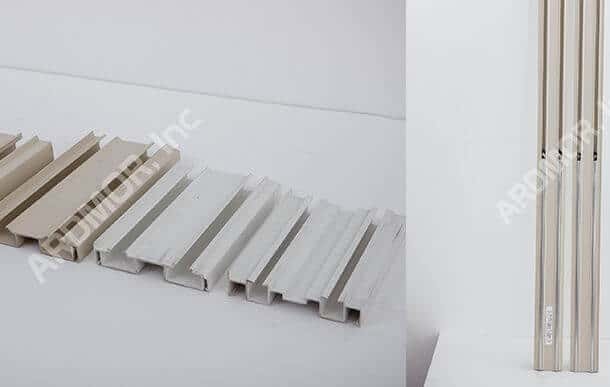 Jamb liners- vinyl, aluminium, wooden tracks that have balances for counterbalancing the weight of the sash. 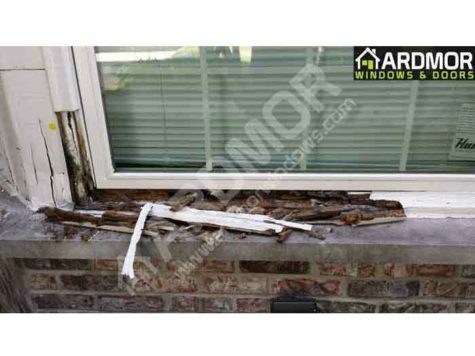 Cause- Over time the tracks can crack and balancers can fail from overuse causing the window not to operate properly. 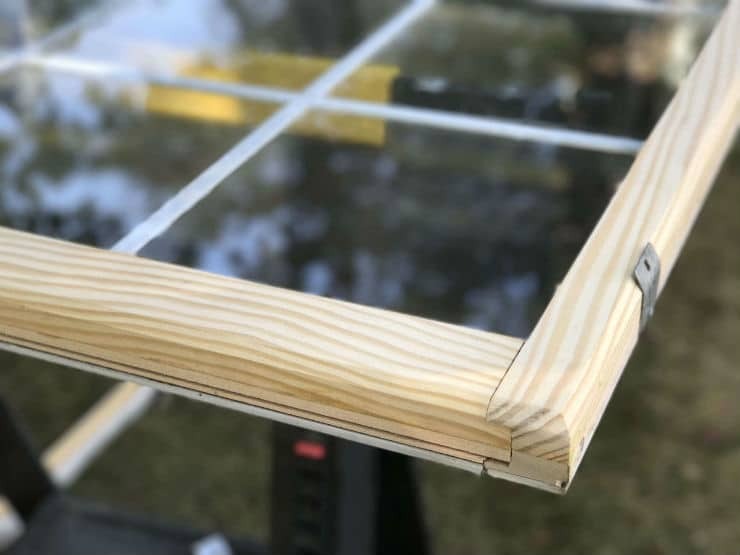 Solution- We replace jamb liners with new ones, providing equal balance and allowing the window to open and close smoothly. 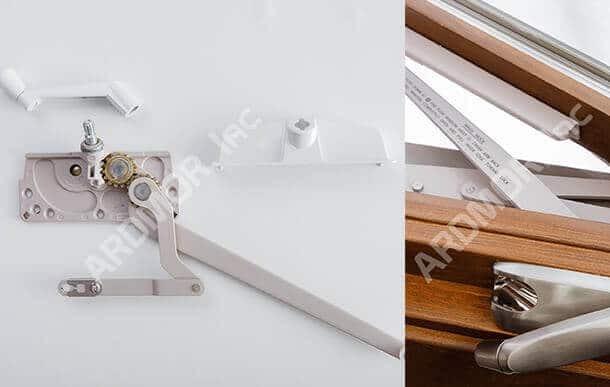 Window Crank operator- manually operated device which will open and close casement or awning windows. 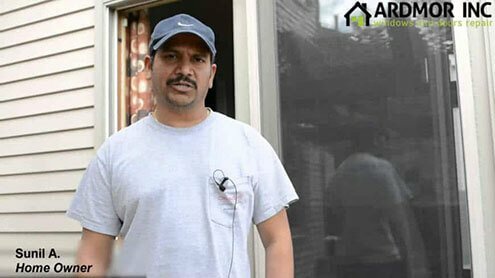 We are proud to offer homeowners a wide array of window repair and restoration services. 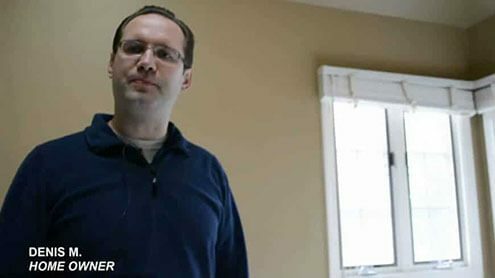 Click on the options below for additional details.